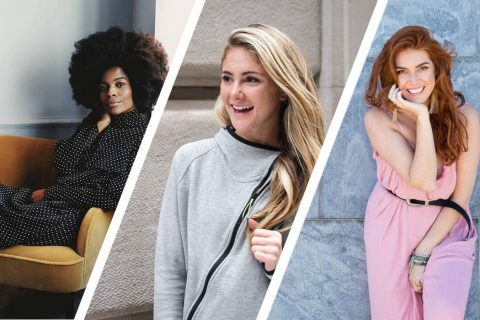 This founder figured out how to replace her income, quit her day job and now she's teaching other aspiring entrepreneurs how to do the same. 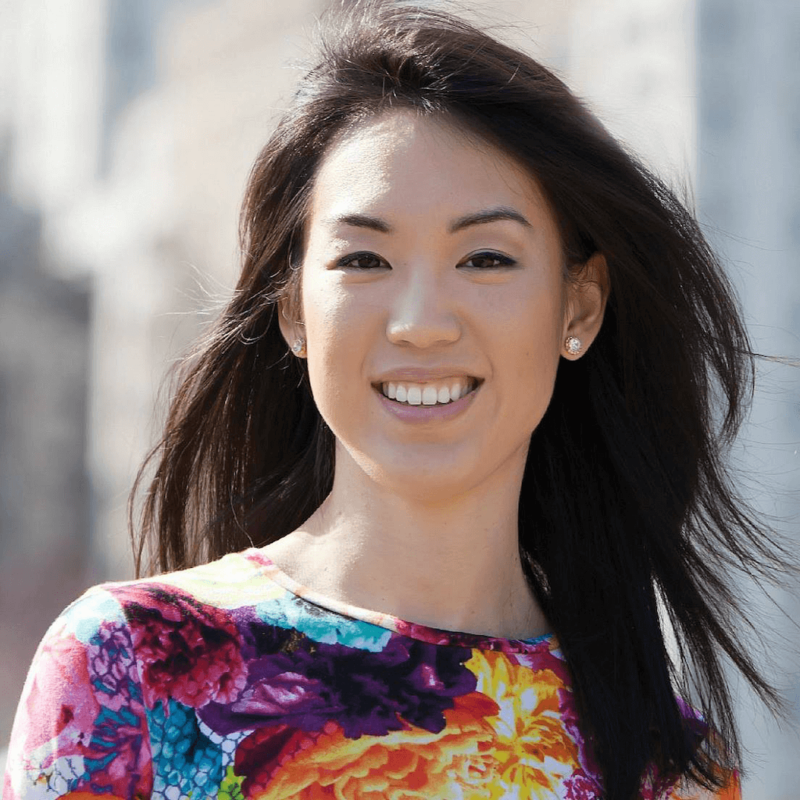 This founder figured out how to replace her six-figure income, quit her day job and now she’s teaching other aspiring entrepreneurs who are ready to live life on their terms how to do the same. 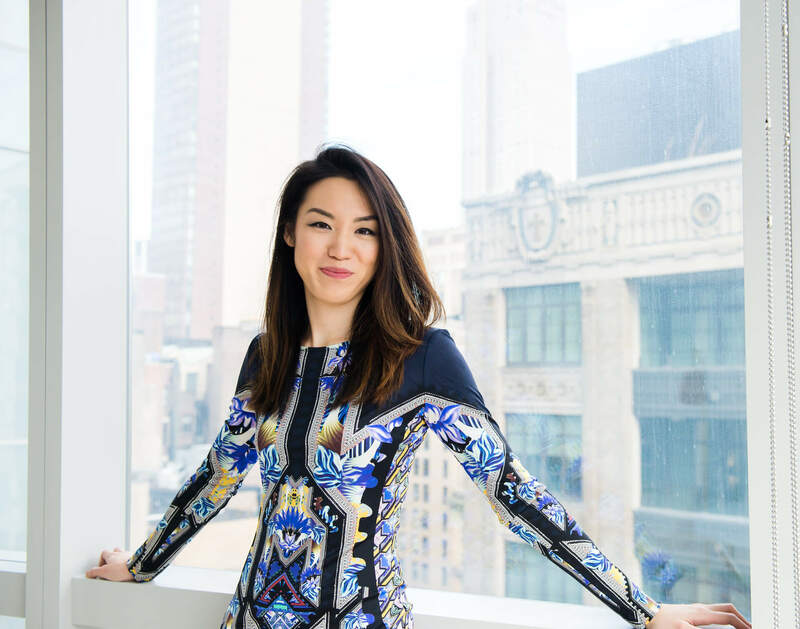 Luisa Zhou, a Princeton University graduate and former International Space Station engineer, built her first online business during a stint in digital advertising (and previously co-founded a mobile payments startup) before setting her sights on business coaching. To-date she has taught over 500 students how to leave their day jobs and start their own business and make anywhere from $10,000 to $100,000+ in a matter of months. 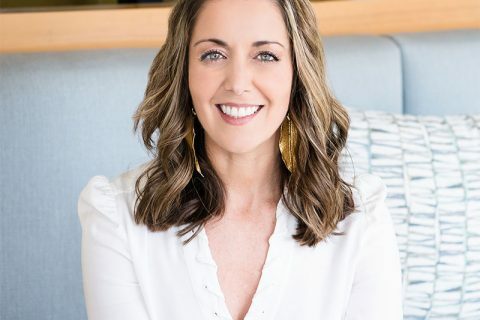 Learn how the Texas native turned New Yorker started her coaching business, how she attracts new clients and why she believes that charging what you’re worth is the wrong conversation for first-time founders. YFS Magazine: What were you doing before you became an online business coach? In 2015, I was working at a digital advertising startup. That year was jam-packed because I was running my first online business where I took my job skills at the time, in digital advertising, and turned that into a consulting business. That business allowed me to replace my income. After I turned in my notice, I realized there was a lot of demand from people who wanted to know how I had done it, and that led to the creation of my current business teaching others how to build 6-figure businesses. YFS Magazine: What inspired you to become a business coach for people who want to build online service-based businesses? So it was my own journey of figuring out how to build my first online business in a way that would allow me to replace my income at the time that inspired me to help others do the same. Back when I was starting out, most of the advice online was about how to make $100 or $1,000 a month, or how to spend a year or two years blogging before you ever made any money. And none of those options would work for me and allow me to build a business that would replace my income. 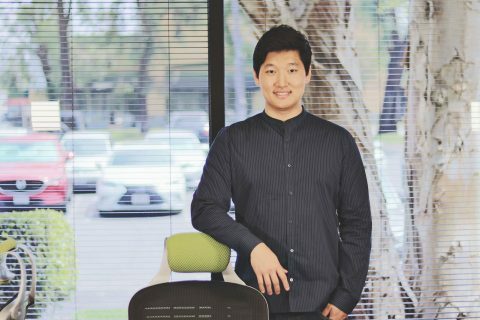 When I started my first online business, I had to figure out so many things on my own. I had to find so many different mentors and piece things together, and that entire painful journey was way more complicated, expensive and longer than it had to be. Once I figured it out, I told myself I was going to help others on the same path so they wouldn’t have to go through what I went through. YFS Magazine: What is the most common misconception your clients have about starting an online business? They think about online business as a fancy, sophisticated website with funnels, and spend way too much time on those aspects initially. As a result, they spend all this time, have a pretty website, invest money in their business, and they have no clients. They focus on all the things you hear you’re supposed to focus on except for the main thing which is going out there speaking with people first and seeing if they even want to pay for what it is that you can offer and get some clients in the door first. YFS Magazine: Tell us about your business model and how you make money. I offer several different ways to help my students. First, we create a ton of free content through daily newsletters, monthly blogs, and weekly Facebook live-streams. These activities allow me to attract people and continue to build my audience. For people who want more, I offer a variety of online courses, ranging from my flagship “Employee to Entrepreneur” course to other courses on creating a webinar, getting your first clients, launching your course or program, etc. Lastly, if someone wants personal feedback and coaching from me, I offer intimate group coaching services. YFS Magazine: What works best for you to attract new clients? Strategically the number one way has been continually cracking new traffic sources. Right now, for example, a lot of my traffic comes from Facebook advertising. I’m constantly expanding and diversifying that so we don’t rely on just one traffic source. At this point, we also release weekly YouTube videos, and I blog consistently. I also create a significant amount of joint ventures and build awareness through guest posting. I’m continuing to make that more of a priority. YFS Magazine: What marketing tactic has contributed the most to your overall audience and client growth? I used to be an engineer, so my tendency, preference, and love centers on complex systems and funnels, and the cool behind the scenes stuff. However, there is this big misconception that suggests those things are what really drives business in the early stages. But I’ve found over again that, in my industry, that is less important than actually connecting with people. The biggest needle mover in my marketing has been offering a free Facebook group, where I’m in there connecting with actual people in my audience, being accessible and speaking with them. Also by doing weekly Facebook live-streams, people see that I’m a real person, I’m legit, and I’m able to create that human factor. These things have been infinitely more powerful for building my audience and customer base, than any other marketing tactic to-date. YFS Magazine: How did you land your first coaching client? A the time, I had no idea what I was doing. I didn’t know what price to charge. I had no sales training. I went online and found out that my people were hanging out in Facebook groups for small business owners. As I was scrolling, I saw someone asking questions about Facebook advertising. We had a conversation that went well. Over the next two weeks, she e-mailed me a few times with follow-up questions. I didn’t feel bothered. I didn’t think, “Oh my gosh, she’s trying to take advantage of me,” because I was trying to figure out where I could add value. It’s funny because I had to say to her “Okay, give me a week to figure out what I should even charge, what I should be offering, and let’s talk in a week.” Then we had our call. I wasn’t the smoothest salesperson, and I was sweating bullets. But she said yes because of the value and the connection we’d built over the previous weeks leading up to that call. YFS Magazine: It’s well-known that consulting businesses don’t scale easily. How have you scaled yours? The most powerful thing I’ve found to scale this kind of business is to teach and empower students from day one to coach themselves. It’s not about the coach being lazy or automating too much. I’ve found my students go through my courses, ask the same questions, and voice the same fears time and again. So I created a knowledge database of questions and answers, trained my support team (and my students as well) to analyze the root of their problem and find real-time answers in our database or existing content. As a result, they can coach themselves with our help to move forward. YFS Magazine: Many business coaches and consultants struggle with how much they should charge clients. What’s your take on this common pricing dilemma? A lot of coaches and consultants are told “Charge a price. Position yourself as a premium service provider from day one, and the clients will come.” I completely disagree with that approach. Initially, I took my salaried rate, divided it into an hourly rate, and charged the estimated number of hours I would spend with a client as a part of the total package. After that, the next few people I spoke with who were interested in my services told me, “No, that’s too expensive,” because I hadn’t had the chance to build a relationship and give a ton of value the way I had with my very first client. I ignored all the popular advice out there to “charge my worth” and said, “Okay. What is the lowest price I am comfortable charging where I’m gonna get some clients, some social proof to build my confidence, and not resent charging that low of a price?” And that price was $1,500 for three months per client. It was a significant discount on my initial (and salaried) rate. However, it was necessary to adjust pricing, so I could get some clients and build my confidence. I landed two clients at that lower rate and helped them get amazing results. As a result, I raised my price back up, and never had to drop it again. YFS Magazine: Speaking from your own experience, how should coaches price their services? I generally recommend (based on your industry, credentials, and experience) starting out with your salaried rate and calculating an hourly rate into your package rate or simply (if you are really experienced, but you don’t have a ton of credentials or online social proof) start with the lowest rate that you’re comfortable with. In the beginning, it’s way more important to optimize for taking on clients, building your confidence, and gaining social proof. Once you have a few of those, you can raise your price and the sky’s the limit from there. YFS Magazine: Is the concept of “charge what you’re worth” misguided in some instances? The concept of “charging your worth” creates an assumption that when you start with a price, you’re stuck there forever. No. You can raise your price just like that (snaps fingers)! So, it’s much better to start off at an easier-to-sell price for all the reasons I just mentioned and get results faster. Shift the conversation to “What’s it worth to my client to have these results?” The latter approach allows you to take yourself and your ego out of the equation. Often it empowers you to charge a higher price as you build confidence and realize a client’s results are worth way more to them than the value of my time. YFS Magazine: What’s your key to success when working with clients? As an engineer, I was trained to think about things systematically. If something wasn’t working, I was trained to figure out what’s not working, why isn’t it working, and how to fix it. For a lot of the other business coaches out there, especially nowadays, they’re regurgitating what they’ve seen or heard from others, but they don’t know why something doesn’t work, or how to fix it if it doesn’t. I pay close attention to each piece of the process. Whether it’s getting your first paying client, setting up your first funnel, or growing your traffic sources. I break it down into small pieces that can be tracked to measure and suggest “Okay! Am I hitting my metrics for this piece or another? You can see right away what you’re missing, or which part of your process is not up to par. Then you can identify that piece and improve it. Instead, there’s a tangible next step every time something goes wrong (which is inevitable). The key is to know how to identify what went wrong and how to fix it. YFS Magazine: A lot of coaches focus on manifesting and mindset. It’s trendy, but often misses the mark when it’s time to execute. What’s your opinion? If you rely on manifestation without the action to back it up (i.e., the tangible step-by-step that you need), you’re not going to get anywhere. I agree that mindset is huge. You do need to be confident, resilient – all of that. However, you’re not going to get anywhere if you’re sitting there trying to manifest. Once you get to the root of your thought patterns and switch them, it allows you to become more confident and focus better on the step-by-step actions. You become a problem solver in your business and get the results you want. They go hand in hand; you can’t have one without the other. YFS Magazine: What has been your biggest startup challenge to-date? Walking that fine line between being the owner of my business and, in this type of business, being the main person involved with my clients. It’s not like I’m selling a product where I just can be the CEO – more hands-off, and really manage my team. There’s a fine line between scaling my business to have more impact while maintaining human touch as much as possible, in a way that best serves my clients and myself. YFS Magazine: What is your biggest client success story to-date? One of my clients came to me about two years ago. She was really smart, graduated from Harvard, had a background working in college admissions and was tutoring clients to help them get accepted at prominent colleges. She was making $1,000 a month, if she was lucky, by finding people randomly on forums, a little offline advertising, and depending on word of mouth. 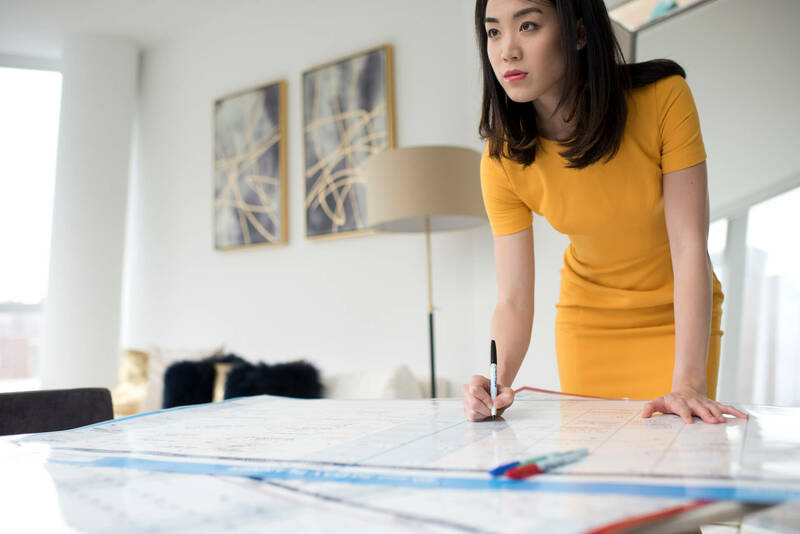 The first six months to a year that we worked together, we worked on systematizing her client acquisition, traffic sources, and delivery process so she could continue to get her clients amazing results while significantly increasing her income. By the end of the first year (definitely earlier) she was making a consistent $30,000 per month in sales. That created such a massive difference in her life. She was able to move out of her parents’ home, have this amazing dream life, and we went on to help her create group programs, launch them, and increase her audience, business, and impact. YFS Magazine: Which business apps and tools help you work smarter? I love Basecamp. It’s how we manage our to-dos among team members. I also love Slack, because that’s how we have our internal team chats. And this is so simple but so good: I love Google Calendar. I live by my calendar, and it’s just so helpful. YFS Magazine: What advice can you give aspiring entrepreneurs who are ready to quit their day jobs? Start, go out there, and speak with people. That is going to have way more impact and create much more momentum for you than anything else. Listen to their feedback, and when you hear someone say, “Oh my gosh, yes, I need that,” that’s when you know you’ve got a business that people want. For anyone who is willing to put in the work to build their own business, they can do it – especially nowadays with all the tools and options available to us. You don’t have to stay with a 9 to 5 anymore. YFS Magazine: In terms of legacy, what mark do you want to leave on the world? I want to change as many individual’s lives as possible, to help them realize you can have more, you can be more, and you can live up to everything you’ve dreamed of for yourself if you’re willing to face that fear and take action. It’s not so much about a certain number, but the depth of the impact I leave on the people. The more people I can have that type of impact on, the more I will measure that part of my life as successful. We eat, sleep and breathe entrepreneurship. We're behind YFS Magazine's fresh content -- one of the largest independent small business news sites. Young, Fabulous & Self-Employed has quickly become the definitive digital resource for startup, small business news and entrepreneurial culture. Join us on Twitter @yfsmagazine and Facebook.